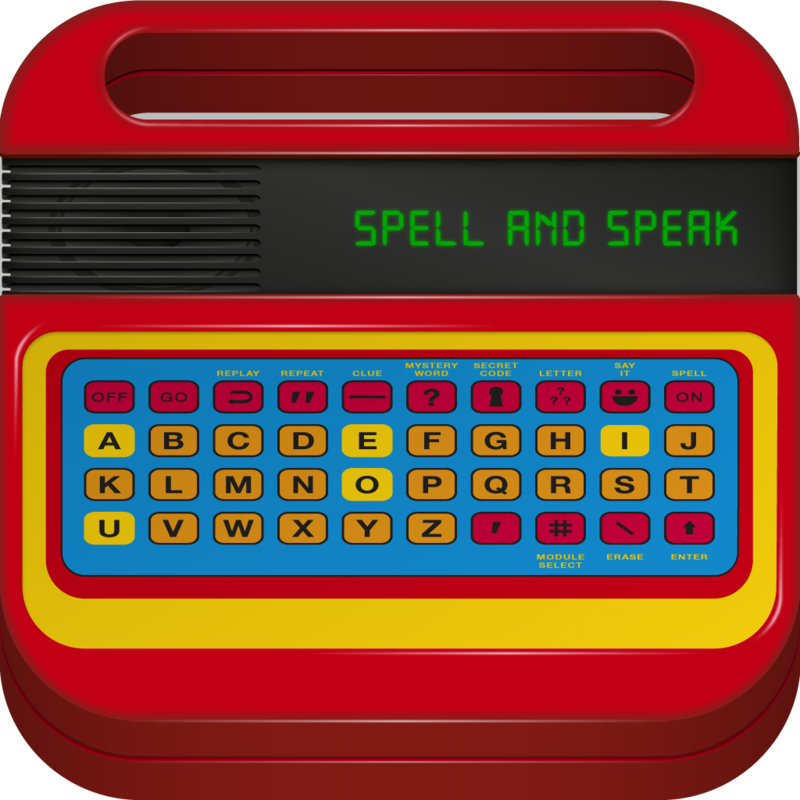 Spell&Speak ($1.99) by Mattia Confalonieri is a mock-up of the vintage electronic device, “Speak & Spell” by Texas Instruments. 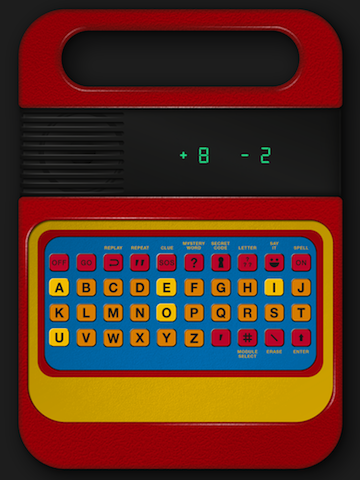 Relive your early childhood with this educational app that is just as difficult to understand as the original. 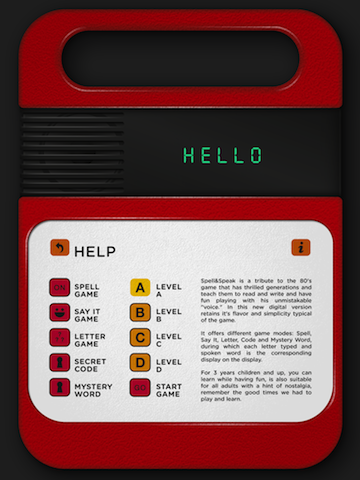 Turning vintage toys and retro gadgets into iPhone and iPad apps is one of the greatest ideas around. The Polaroid Digital Camera App lets you take pictures like your parents did and you can pretend to listen to music on a record player with Vinyl Tap. 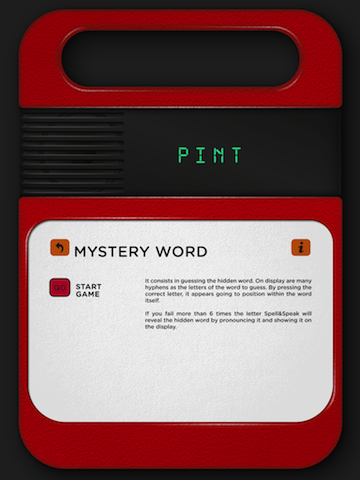 Now, with Spell&Speak, you can play with electronic devices that never worked right, just like when you were a kid. 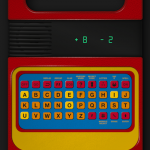 This learning app take its design from the poorly-made “Speak & Spell” game that was around in the late '70s and early '80s. I had one. It was funny and terrible. You could never understand what the electronically synthesized voice was saying. In true vintage form, Spell&Speak performs the same way. There are four different modes in this app. The “Say It” game is a way to let new readers see a word as it is being spoken. 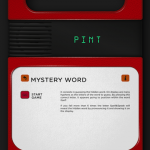 The words appear automatically and the synthesizer voice says it out loud. There is no winning or losing this game. Players repeat what they hear and read. For the “Letter Game,” players are given a starting letter, like “b” or “w” and get to create whatever word they like from it. Each letter that is selected is pronounced, somewhat incoherently, by the electronic narrator. 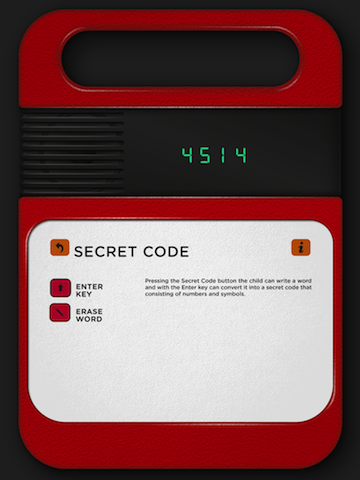 The “Secret Code” lets users type a series of letters, which are turned into numbers to create a secret code. For example, If you type the word, “dead” it will translate to 4314. The letter “d” is the fourth letter in the alphabet. The letter “e” is the third, and so on. This game is intended for young children as a way to help them learn the alphabet, and learn how to spell. In 1978, when Speak&Spell was all the rage, it was a very advanced learning device. However, with today’s technology, Spell&Speak is more of a novelty than anything else. 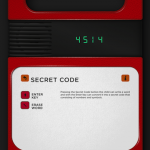 It is probably not a good app for educational purposes. That’s not to say you shouldn’t get this app. 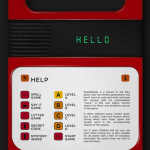 It really sparks nostalgia when you hear the device say, “Now spell talk,” or was that walk … maybe even top. Stupid electronic voice. 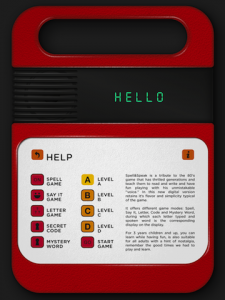 This educational app is a fun learning device, even if it isn’t exactly of “Leapster” quality. Don’t expect spelling miracles from your kids. Just enjoy the memories.